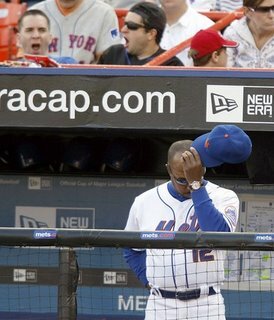 Another game of the 2011 MLB season goes by, and another Mets rant goes live. If I may, assuming you’ve just read the linked article, I would like to sum up the first 5 games of this young season for the Mets. Looking back at the first 5 games of the season, there are a ton of positives. Wright is hitting, Dickey continues his dominance from last season, Young is lights out in his debut, The 7-run comeback, and they’re getting contributions from everyone on the roster. If you could write anything negative about the first 5 games, it would be that Pelfrey has been off of his game (if he ever appears to have one), and K-Rod well had an awful appearance. That’s it. Five games, tons of positives. Well, unidentifiable question asker, it’s really quite simple. There’s nothing ‘substantial’ to knock the Mets about. They’re not 0-5, they’re playing hard, they’re playing as a team and they look like they’re having fun! Despite what writers want you to believe, there actually is no “National Punchline” involving the Mets. So Chris Rock, a Mets Fan, makes a few cracks. He’s a comedian. He gets paid to make people laugh. Of course its funny. I laughed when I heard that joke! So Seth McFarlane decides to throw the Mets under the bus with a crack before the season even starts. Again, he gets PAID to create a show that will make people laugh. Otherwise, Family Guy would’ve been off the air a long time ago. John Stewart? The Mets fan? I don’t think I need to show you where this is going… If you can’t laugh at yourself, or the things you love, then… nevermind, I’m not being paid to be your therapist. In short, what you’ve just read over at the Philly.com website is the result of what happens when a sports writer strokes his e-peen for just a second too long. It feels good on the way out, but its just not worth the mess. But don’t blame me for the impressive mess Gonzo leaves for you to clean up. Go on and tell him to clean it up himself. After watching this movie over and over again, I believe the status of Brad Lidge… wait… I mean Brad Lidge’s ERA will continue to skyrocket towards the stars! Props to Ray Dussault over at the Global New York Mets Fan Group on Facebook for the image. I’m sure this post will bring in a lot of flack from Phillies fans and fans of other NL East teams, but I’m not concerned. I’m confident there are “decent typing” fans out there who can tell the difference between a direct insult and a generalization (which is what I’m doing here). So what might be on the mind of Mets fans going into the 2008 Season? After a conversation with a friend, and fellow Mets fan, I thought I would share his mindset in the form of a picture show. Each one of these photos speak thousands of words into how my friend felt about the events of last season, the events of the offseason, and what he wishes for the upcoming season. 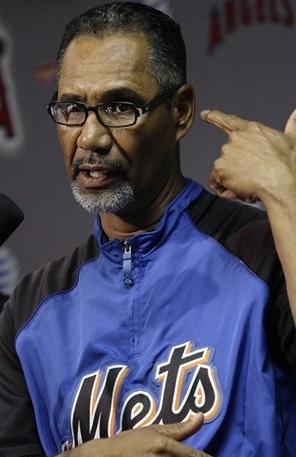 Please enjoy: Inside the Mind of a Mets fan: A Picture Show!